Your weekly Netflix pick is back with two time South by Southwest Film Festival winner. First Match won the Audience Award as well as the Gamechanger award. Written and Directed by Olivia Newman. First Match is an incredible first feature attempt by Newman. Mo (Elvire Emanuelle) has spent most of her life bouncing around the foster care system. Adapting to a tough life in Brooklyn her look and attitude are armor she wraps herself in. She’s forced to grow up fast but still holds on to some childhood hopes. 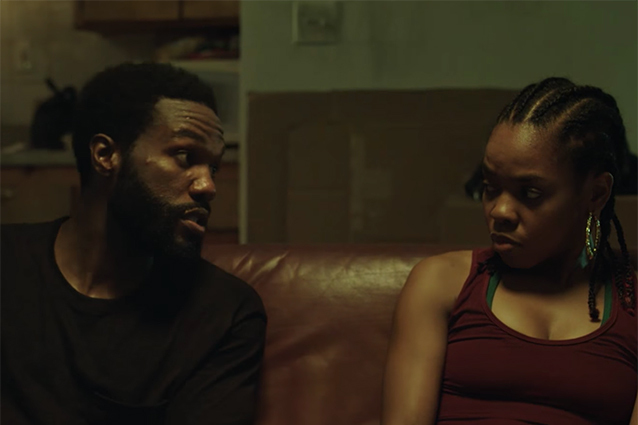 Her main hope is that she can reconnect with her father, Darrel (Yahya Abdul-Mateen II), when he gets out of prison. Mo finds out the hard way Darrel is already out and neglected to call her. Mo’s only real friend is another piece of her childhood. Omari (Jharrel Jerome) and Mo grew up learning the one positive thing Darrel had to teach the kids. The one skill Darrel possesses is wrestling. 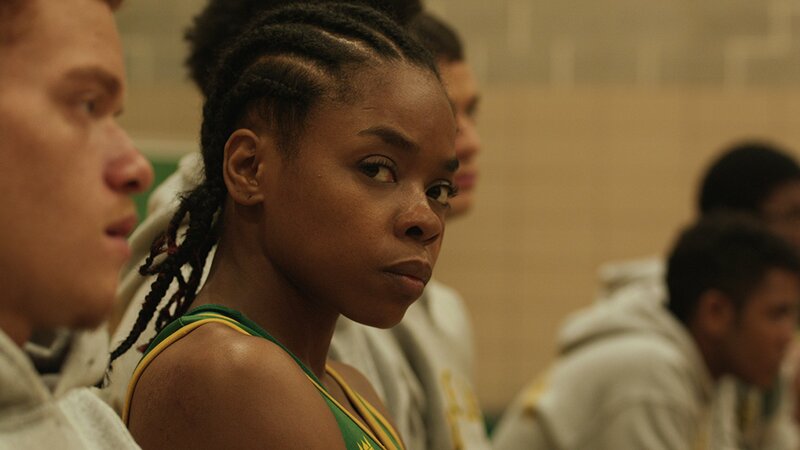 To reconnect with her father, Mo fights for a spot on her school’s boy’s wrestling team. The synopsis is very typical. Kid from a rough neighborhood grows up rough. Estranged parent. Overcomes adversity. Where the story shines is in it’s characters. On paper the characters may read like tropes in a fill-in-the-blank type script. The performances bring them to life, elevating them. Emanuelle is a young actress without much on her resume. That will change after First Match. The cold exterior Mo has when we meet her melts as the movie progresses. Her change is subtle and not without both inner and outer struggle. The audience meets a tough woman but they get to know a vulnerable kid. This isn’t a sports movie. Many movies use sports as a metaphor for the underdog fight. The wrestling scenes are authentic feeling. There are a surprising limited amount given how important the sport is for the stories. The movie even delves into a world closer resembling MMA. That plot line that stays barely on the good side of taking things too far. Not only are the fight scenes not glorified, nothing in this movie is. It’s gritty and feels like a glimpse into the girls life. Of course many kids have it much worse than Mo. First Match doesn’t attempt to deliver the full experience of being a marginalized kid in a rough foster system. It does deliver enough to bring realism enough to deliver an emotional journey. Mo’s story is tragic. It’s hard to see someone make what you see as the wrong choice. It’s harder still to sit by helpless as the choice plays out as you suspect they will. Again, and again. Watching these tough decisions unfold is even more difficult as you realize Mo is still very much a child. Mo doesn’t have life experience or guidance to fall back on. All she knows is the fight. The title is First Match but it’s more apt to say Mo has been fighting every day of her life.